When my oldest child, my daughter Emily, was about to start school I thought “This is it. It’s going to start getting easier”. How wrong could I have been? If anything your child starting school turns family life upside down. We had chugged happily along. I had gone back to work after my maternity leave having found a great crèche for my baby to attend. Along came child number two, our little boy Matthew, a couple of years later and he followed his sister into the crèche and all was well with the world. The year Emily started school she was more than ready for it and she skipped in and settled without so much as a backward glance. For my husband Niall and me the approach to that milestone day opened up so many questions and stresses. How will she get there if we both need to be in work in the city centre by 9am? If we manage to get her there who will pick her up and what will she do all afternoon? Having spent all our working parent time up to that point in the secure hands of a lovely crèche that met all our needs we felt very vulnerable and exposed in terms of childcare. In the end, conveniently, I was due our third child in October of that year and due to pregnancy issues was signed off work a few weeks early. I was there to see her through not only her first day but her first school year. During that year we looked at new things for her to do after-school. A note came home during her first week or two at the school for Ballet. Each Thursday in the school hall. She begged me to let her try to I thought it would be good for her. And that was our first taste of the after-school activity world. 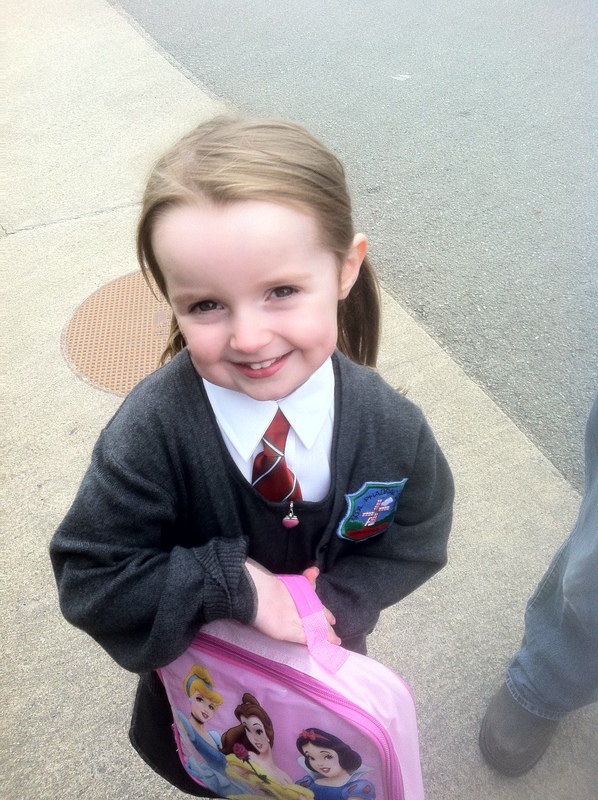 We continued along with her doing her ballet every Thursday throughout Junior Infants. With my newest addition, Zoe, in tow I couldn’t even contemplate any other activities. Then came the end of my maternity leave and my return to work. We hosted an au pair which worked really well for us as she was able to continue bringing Emily to ballet every Thursday. A few months into Senior Infants we heard of a Hurling academy. With a hurling mad father he suggested she give it a try. She loved it. Our already busy Saturday mornings got a whole lot busier. I eventually took a career break from my paid job to spend time with the kids and my little boy, Matthew started Junior Infants. Suddenly we needed to consider any activities he wanted to take part in. He opted for Saturday morning GAA academy. At this point Tennis was added on a Friday afternoon for Emily and she also joined the GAA football team while still continuing with the hurling. If I thought having a baby was a busy time I was getting a very rude awakening. Wednesdays, Thursdays, Fridays and Saturdays went by in a whirl of getting ready, getting bags ready and jumping in and out of the car, dragging other kids along too. By the time another year rolled around there were requests from Emily to join a drama class on a Monday. I had to draw the line so the tennis got shelved, but Matthew joined her in the drama class which meant that Matthew was now doing two activities a week (Drama and GAA Academy) and Emily four (GAA Hurling, GAA football, Ballet and Drama). Roll on to my baby, Zoe, starting school. Having seen her big brother and sister head off to various activities, she started her requests early, before she even finished Montessori. She kicked off her after-school career like her sister with ballet and now goes every Thursday too but of course a different time to her more experienced big sister. She also joined in the GAA academy which was fine at the start as her big brother was going anyway but he has now progressed out of the academy section so is on at a different time and also now has matches at the weekend. Over the years there have been many changes. Drama was shelved after a year and violin was started by the older two. Matthew took up Chess on a Monday and Emily on a Tuesday while Matthew kept going with violin while Emily dropped it and opted for basketball instead. Matthew also suddenly became soccer mad (Up Man United!) and has joined a local soccer team which means more weekend matches. Add to that Zoe is now asking about Irish dancing and Emily is at an age where she can join various school teams in GAA and basketball. Dizzy yet? I know I am. Of course I don’t like to shelve activities they enjoy doing but as a parent I need to strike a balance. After-school activities are a great way for a child with a specific interest to develop their skill in that area. Be it piano, football, ballet or whatever grabs them. While school itself might introduce kids to certain sports or hobbies there is a limit to how much they can teach. An hour doing football in PE a week is not going to turn a child into the next David Beckham. It is only from spending time after-school that a skill can be fully developed. At a young age after-school activities should be about fun. Unwinding from the regular day of reading, writing, maths and the academic side of things. They should help to build confidence, form friendships that otherwise would not have been made within the confines of school and keep them fit and healthy in body and mind. All that said kids need downtime. Time to just sit and relax and effectively do nothing. In my book doing nothing one or two afternoons a week is a perfectly acceptable after-school activity. Whether it’s reading a book, watching a DVD or playing with some toys this type of non-structured activity is, in my view vital. Rushing kids around to activities every day of the week will only lead to exhaustion both for the kids and the parents. After-school activities are also expensive. 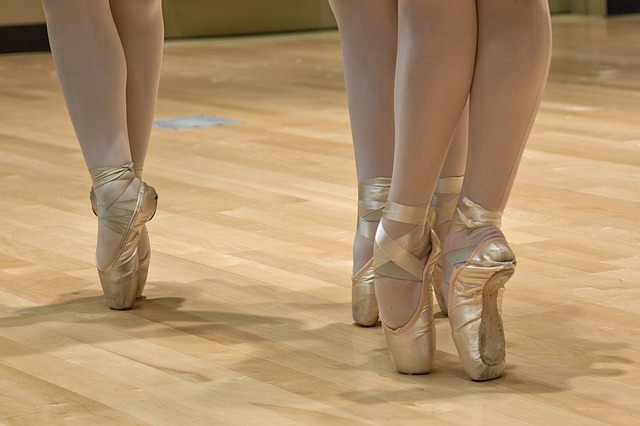 If you are forking out €10 per ballet class a week, adding in uniforms and ballet shoes it all adds up very quickly. Throw another activity or two into the mix and before you know it you could be out-of-pocket €100 or much more every month. With money tight for many families this is not easy and pressure from kids to do certain activities can play on that infamous parental guilt. Being a working parent also means that often activities have to be missed due to childcare arrangements, only adding to that feeling of guilt. So how to find the right after-school balance is key. While I certainly haven’t found the perfect balance myself, I have put in place a couple of things that help me manage it. First I insist on at least one or two afternoons activity free. This way I know that my kids can have some downtime every week. These are the days I can also invite their friends over for play dates which adds a different dimension to their afternoon. Unfortunately for Mammy it seems they each have different activity free days! Secondly I look for free things to do after-school. If I want my kids to be doing something after-school it doesn’t have to be a paid activity. We take regular trips to our local library, we visit family, go for a walk on the beach (weather permitting!) or visit the playground. There are even more structured activities that are offered free, we currently have our eye on Coder Dojo for my son. Finally I try to ensure that homework is worked around whatever we are doing so that whatever our day brings the homework is done before dinner time, in our house by 6.30pm, so that there are no late night (or worse still early morning) panics. That way bedtime can be as relaxed as it is possible with three energetic kids in the house. As we now settle into another school year so I will keep packing bags and keep trying to find an after-school balance that works for us and I’ll keep making sure there is a chilled bottle of wine in the fridge come Friday evening. I think you’re totally right that it’s hard to find balance between letting them try new things and giving them time just to ‘be kids’. My girls are in 1st class and this is the first year we’ve put them into activities – and we’re sticking at just two – an art class and Brownies. Luckily they’re happy to do the same things so far, I don’t know what I’ll do when they take more on for me to juggle!! I am a huge advocate of down time and free play. With four kids and spending already enough time taxiing them around (it seems we’re always in and out of the car! ), I don’t want to sacrifice our weekends too. They all do a maximum of 1 after-school activity each per term. But what they enjoy most is playing on our local green with the neighbours’ children! They say always encourage your child to follow their dreams, unless you’ve just bought the kit and paid the term fees for their last dream, in which case they have to stick to their dream till the end of the term. I think some skills, like music are very good to start early, but play is one of life’s most important lessons and should never be compromised by keeping up with what ‘everybody else’ is doing. I am already stressing about after school when we both work and all the activities and going and coming involved with boy girl twins ( who have just started ECCE!) I will store this info for when its their time to go , great idea for free downtime too , their bodies and minds need to recharge and relax.